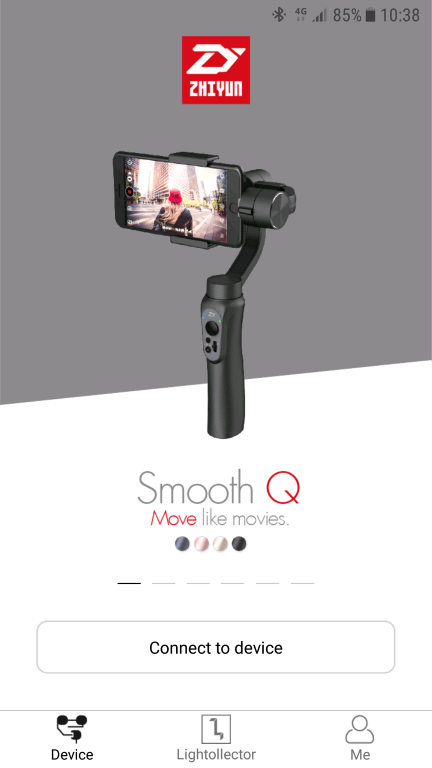 Smooth Q is the latest gimbal for smartphones from the highly praised Zhiyun, worlds top-selling company. It is also our first review of such a device. In a world that keeps focusing at smartphones with very capable cameras and video recording options, gimbals are becoming more popular. 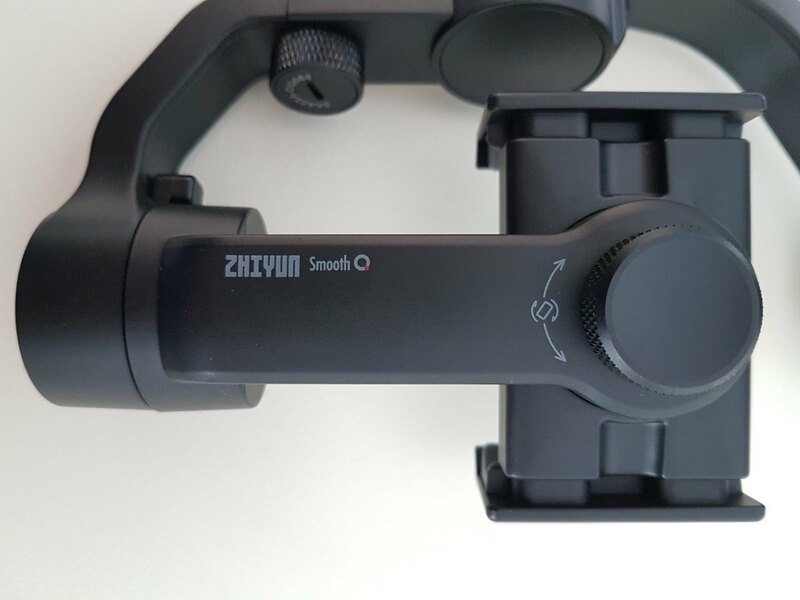 Zhiyun’s Smooth Q model is the most affordable option from their line-up and is considered as the small brother of the Smooth 3 model. It has a great performance though. Let’s see below. 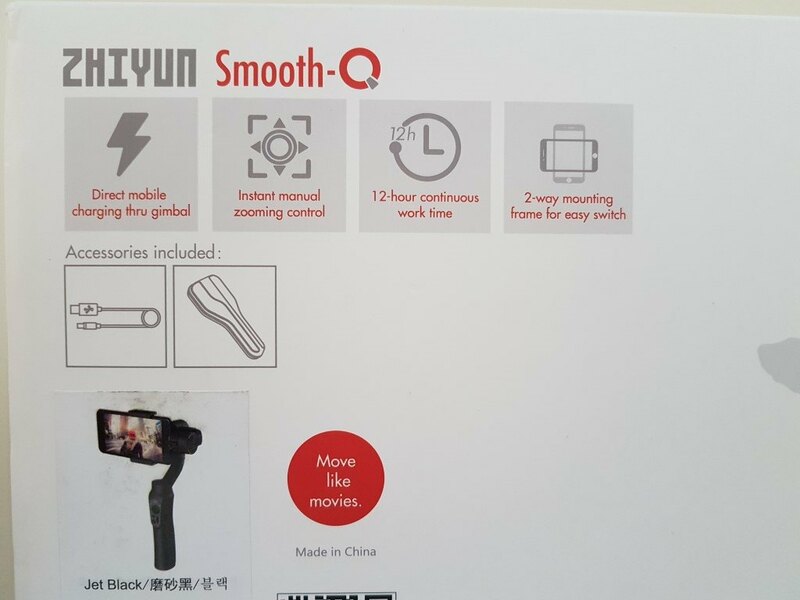 Smooth Q arrived in a white box with a photo of the product and some basic specs written on it. Nothing fancy. 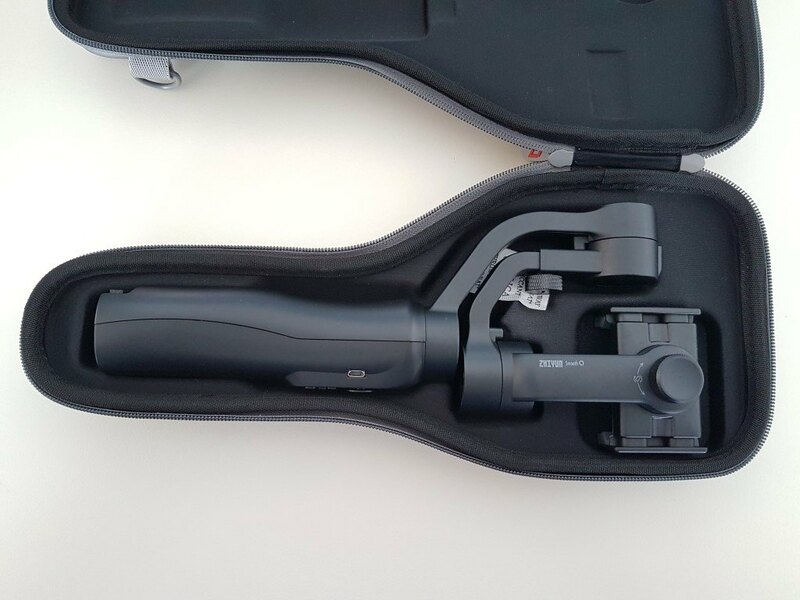 Inside you will find the gimbal itself inside a beautiful and sturdy protective cover, a wrist strap, a USB cable and basic documentation. 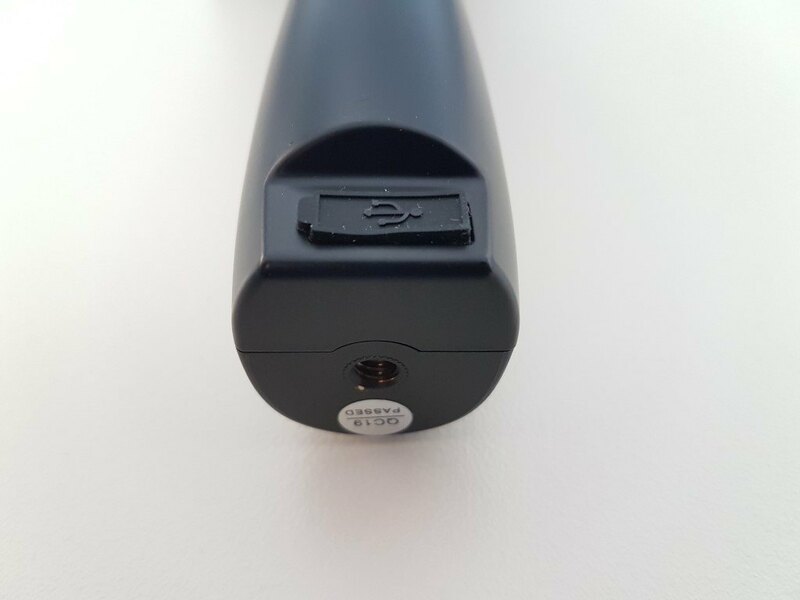 Aside from the basic feature, the 3 AXIS stabilization, Zhiyun promotes heavily the (built-in) battery capacity which is a considerable 26650 mAh one. Add to that the capability to charge (5V, 2A) your device while using it and at the end you will end up with approximately 8-11 hours of usage (depending from your smartphone). 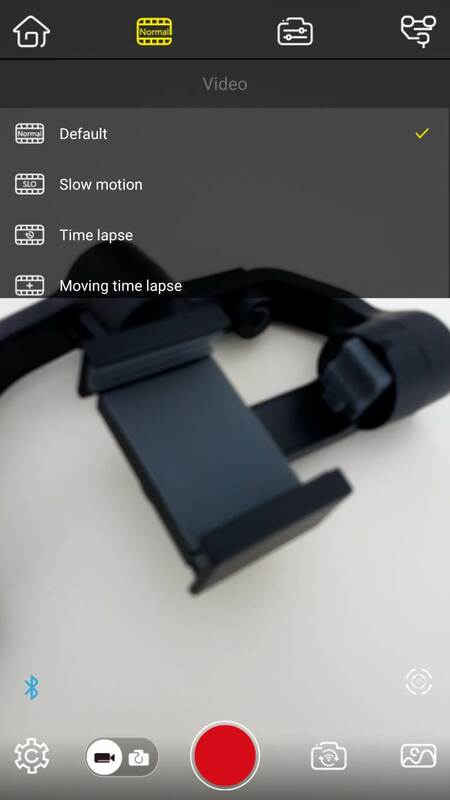 It is a great feature since it would make no sense to have the gimbal lasting more than your smartphone (2-3 hours most?). Compared to other devices like DJI’s more expensive Osmo mobile, the battery capacity is almost 3x bigger (980mAh for the DJI model). Another difference is that Smooth Q’s battery is not removable compared to DJI’s. 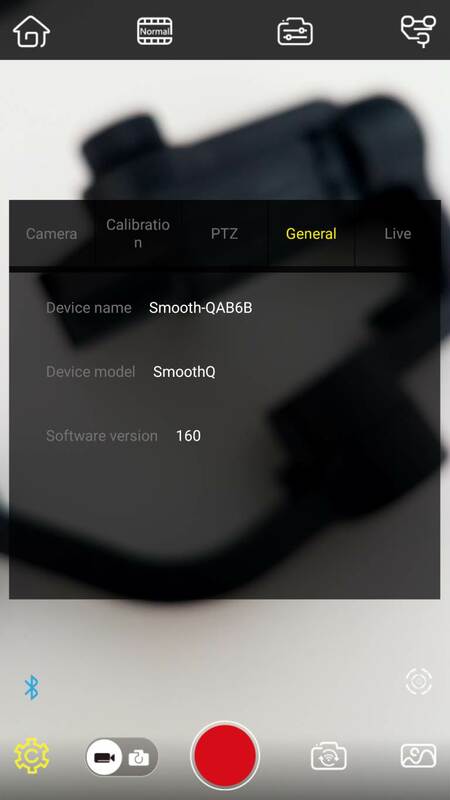 Furthermore, Smooth Q supports both portrait and landscape positioning for your smartphone which is not a given for the majority of gimbals out there. 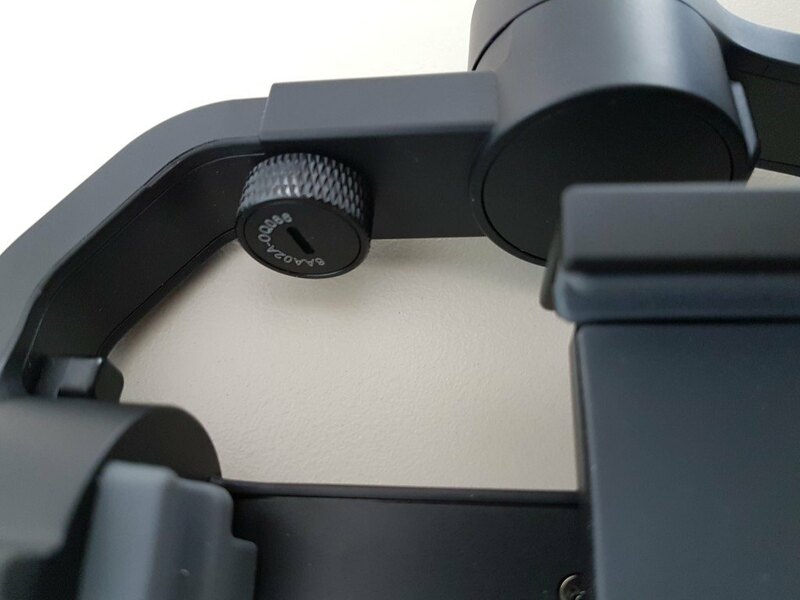 As most gimbals do, Smooth Q also supports tripod/stands by using a standard ¼” thread mount and a control panel (buttons) at the front (for zoom and other functions). 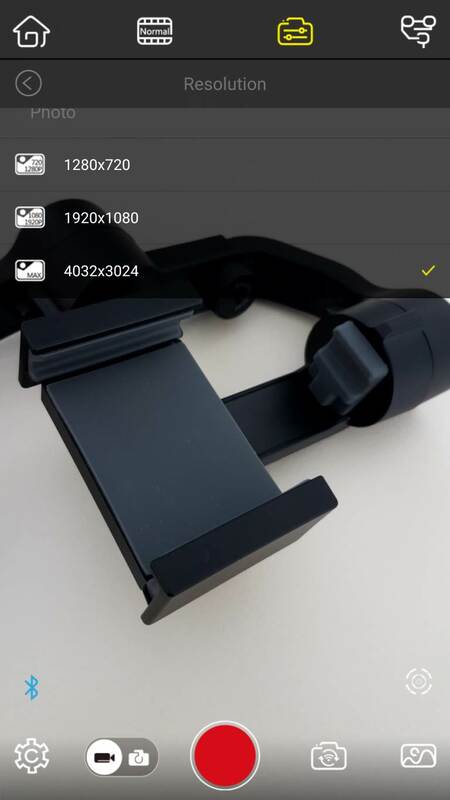 It supports smartphones with weight up to 220g and to use a GoPro cam you will need a cheap adapter. It weights 440g. Axis rotation is as good as it gets with 360degrees for Pan and 320degrees for Pitch and Roll. 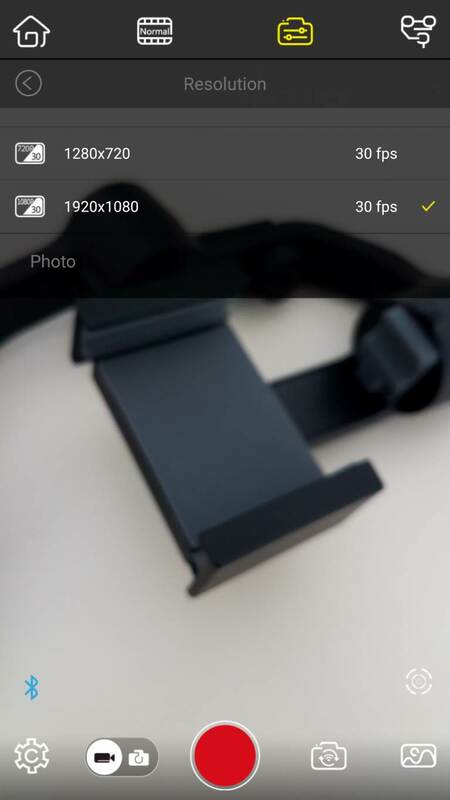 The build quality is the reason why the smooth Q is 100$ cheaper than its bigger brother, smooth 3. This one is made of plastic, although it does have a confident grip (it could be better though).Just be careful with it during your first days/tries especially when you try to operate the controls with your thumb. Besides the plastic build, the grip could be bigger. I have big hands, so for me there was definitely a learning curve. The difference in quality is only noticeable if you make a direct live comparison with an aluminum based model like the Smooth 3. During our test we used large phones (Iphone 6S Plus and S7 Edge) and the motors did a fine job in all cases since the gimbal did not lose its balance. Make sure you adjust the counterweight accordingly. All 3 buttons (photo/power, focus slider, shooting mode) and CVT joystick are of good quality and will not leave much to be desired. 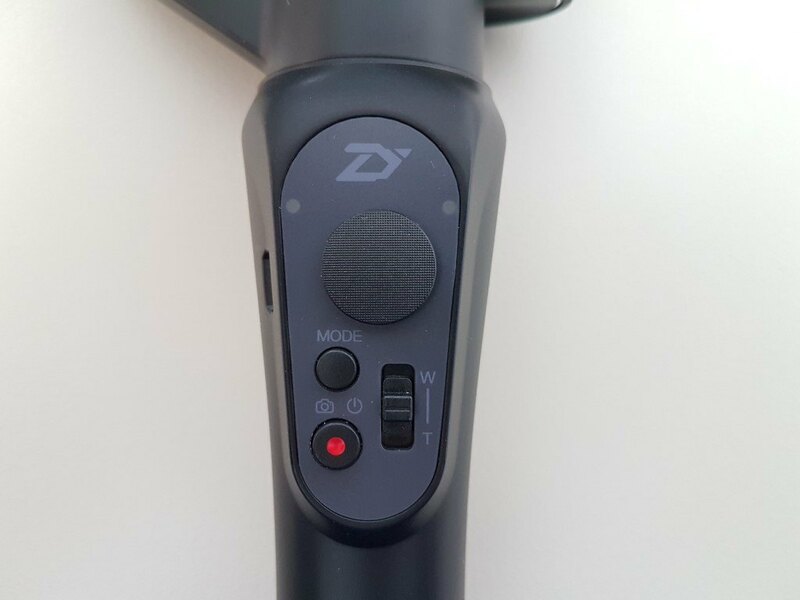 The CVT joystick is very good for panning manually the camera since it has analogue function. 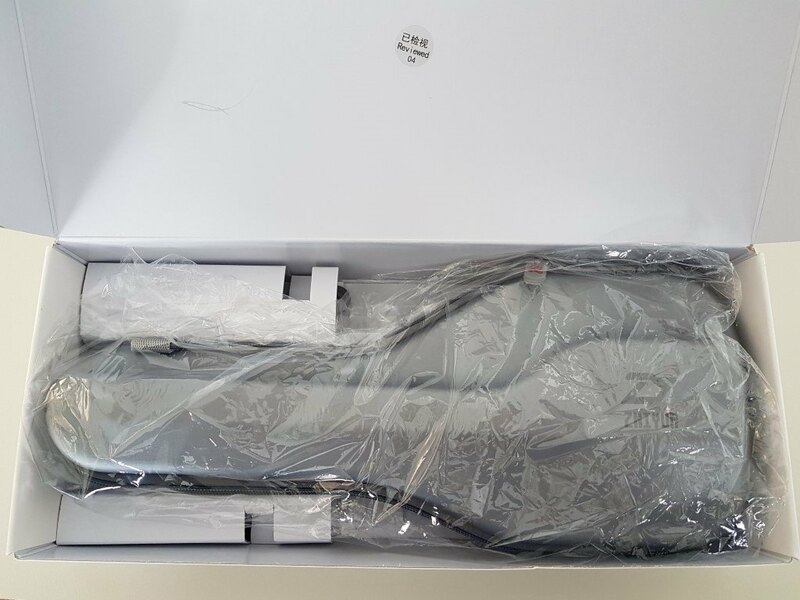 At the end, for the price (less than 140$) the overall quality is really good despite being plastic. The Smooth Q gimbal has three operating modes. 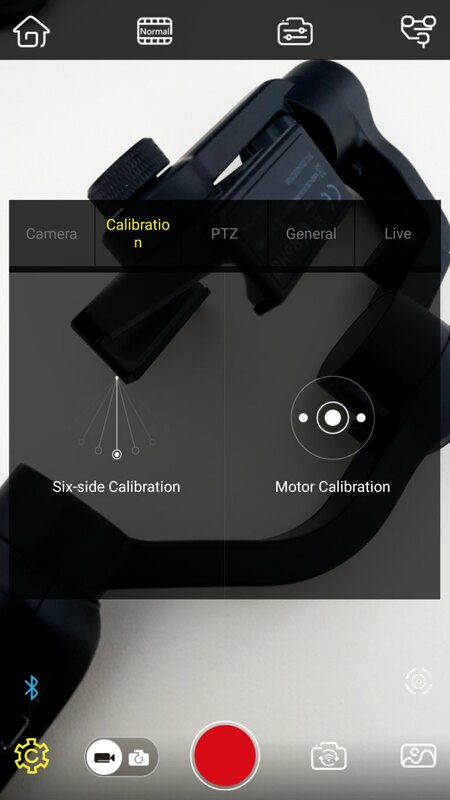 Pan mode: The smart phone pans left/right following the movement of the stabilizer. Tilt and roll axis are locked. This is the default mode each time Smooth Q is powered on. Locking mode: All three axes are locked to a single position. You can control manually the tilt/pan using the joystick though. Following mode: All axes are operational following the movement of the stabilizer. 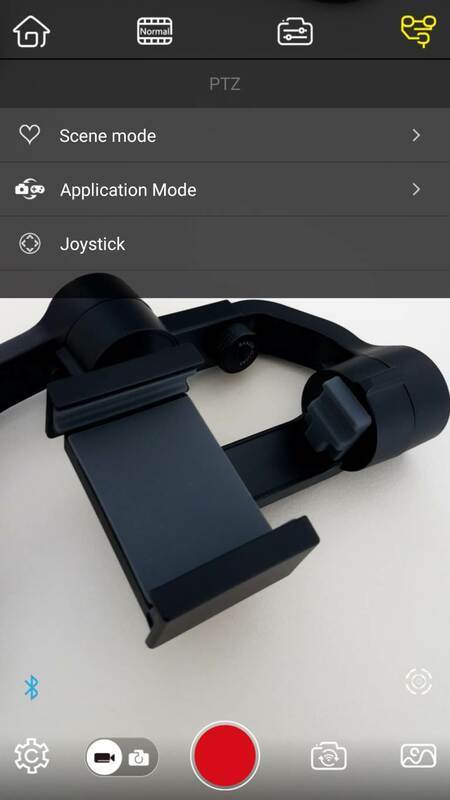 You can still manually control the roll axis from the joystick. You can switch between modes by single or double clicking on the mode button. There is also a selfie mode where the camera rotates 180degrees towards the face of the user. Since the selfie mode usually has to do with mobile apps (usually video conference or broadcasting) it would be wiser to turn the smart phone in to portrait mode. This is a very easy task, just one unscrewing away. No re-balancing is required in order to do so which is good. 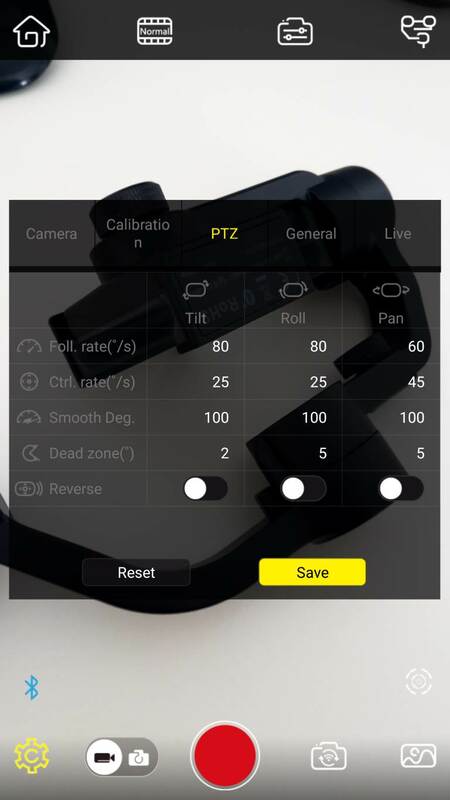 In order to fully utilize all of gimbal’s functions you should install Zhiyun’s IOS or Android application, ZY Play. 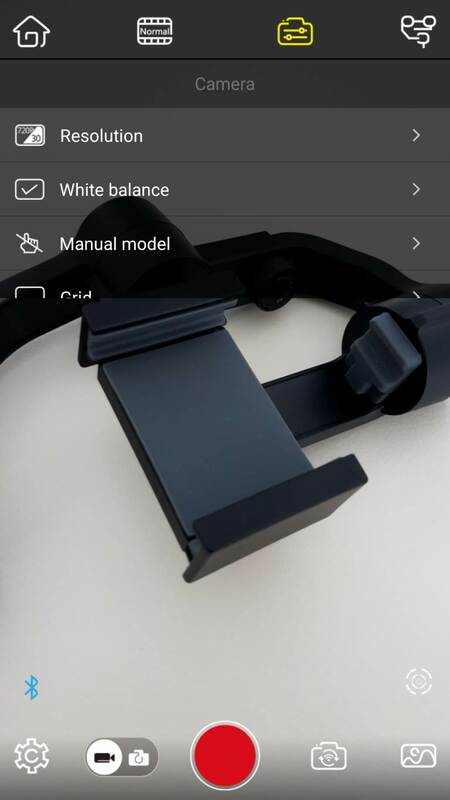 The mobile application is required in order for the user to use the grip zoom keys, focus options (especially when you want to use tracking mode) and take pictures. When in tracking mode, you “just” draw with your finger around the selected person or item you want to follow and then the gimbal will do the rest. We would prefer a simpler “click on subject” method but it seems to be a limitation of the app. When in auto tracking mode the gimbal does a very good job for as long as you don’t move too fast. In such a scenario, the gimbal will not adopt fast enough to the selected object’s new position and you will probably end up either losing it or keeping it at the edges of your frame. I don’t want to scare you off; it will do a great job in normal conditions. I was skeptical for any motor noises heard in the recorded video to the plastic build but fortunately everything turned out okay. You can also use the W/T toggle (compared with the mobile app) to zoom in/out from the grip while shooting a video. (In Samsung’s S7 edge’s case, instead of zoom functions, we got switching of the back and selfie cameras. Don’t know the reason why). 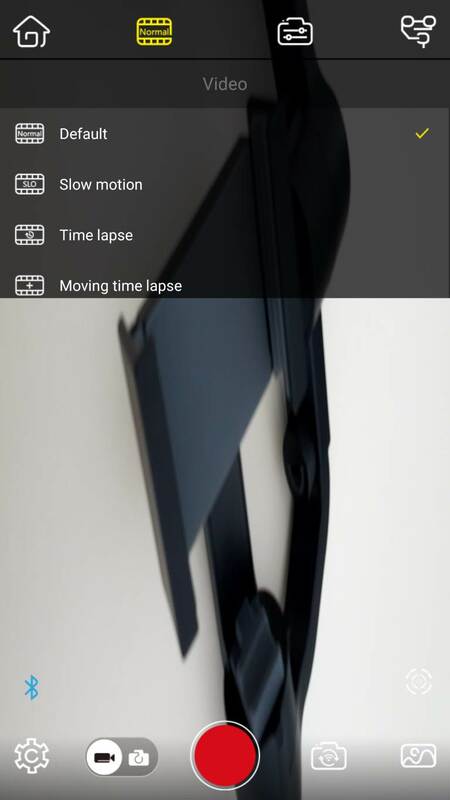 Through the app you can see and adjust a lot of information (battery time, modes, ISO, white balance, exposure and check the degrees of each AXIS movement among others). ISO is limited to a range of 100-400. 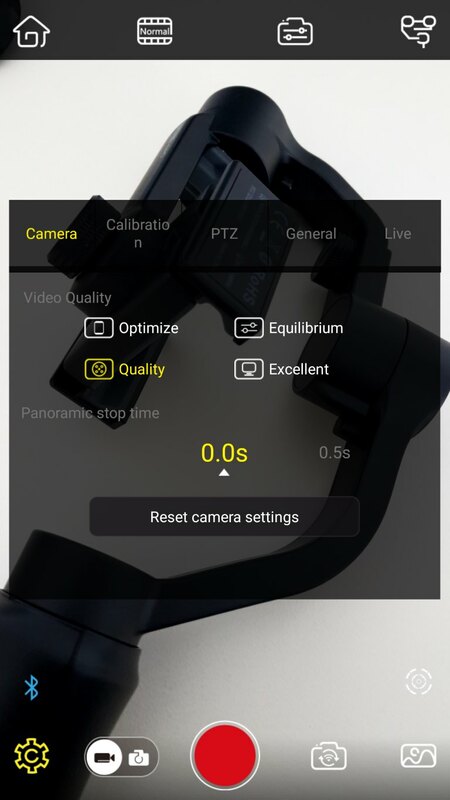 Perhaps this can be addressed in a future software update (Zhiyun has great support). 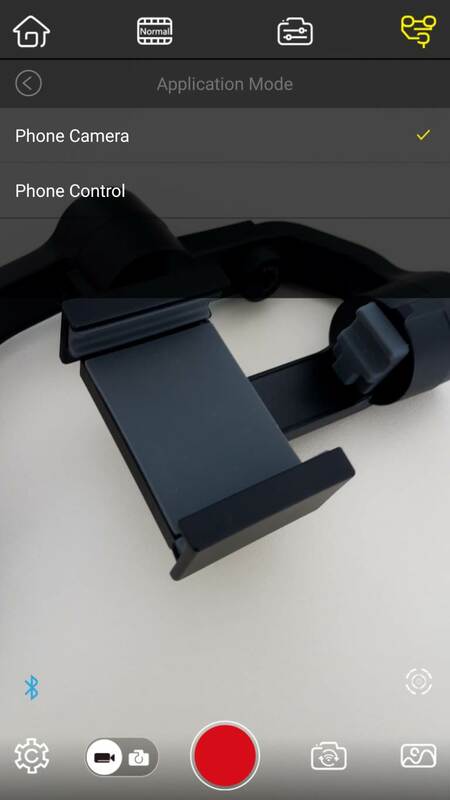 Bluetooth connection between the smart phone and the gimbal is not automatic. You will have to do it manually each time you want to pair it, but at least doing so is really fast. Video footage shown below is shot with Samsung S7 Edge (1080p, image stabilization disabled). The beautiful scenery is part of the astonishing Attica Zoological Park in Athens – Greece. Don’t forget to visit if you are nearby. Smooth Q is the best and more affordable way for someone to enter the gimbal world. Being cheap has its shortcomings (entirely made of plastic, small handle with just OK grip, not blazing fast tracking mode) but it also packs features that are not seen anywhere else like the amazing battery life and portrait mode. Street price can be as low as 110-130$ and can be found cheaper with discounts. That makes it 3 times cheaper than DJI’s similar product that sports way better auto tracking, is entirely made of aluminum but also has way shorter battery life and does not support portrait mode. 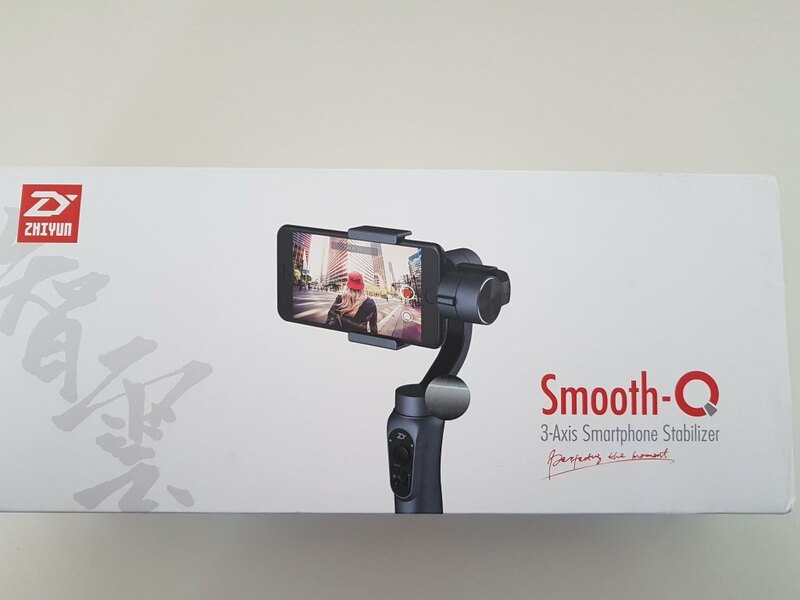 Smooth 3 (also from Zhiyun) is also better but costs almost twice as much. 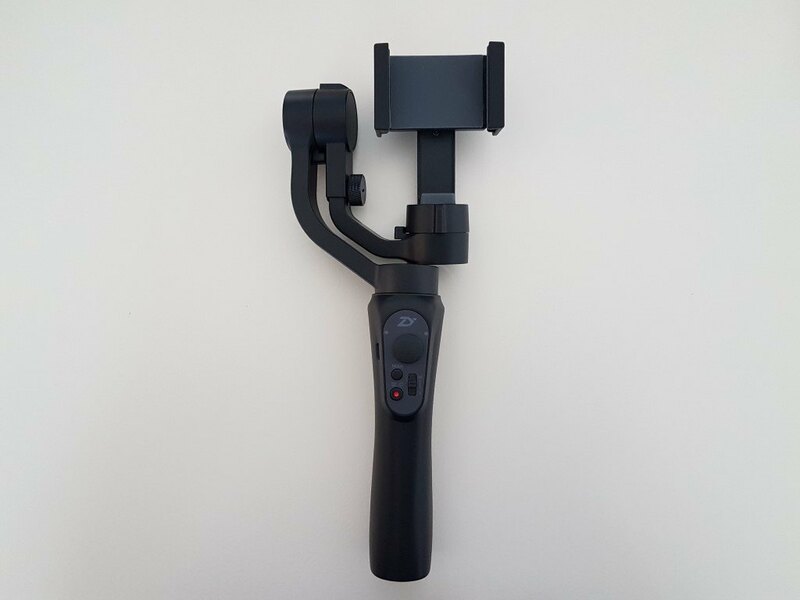 For regular use, the Smooth Q is a no brainer gimbal that performs way better that what it’s pricing suggests and will significantly upgrade the quality of your videos and make your life a lot easier while doing so.